Whether it’s for his outspoken politics, his onstage antics, or his extravagant costumes, the Rocket Man still has the ability to make headlines. 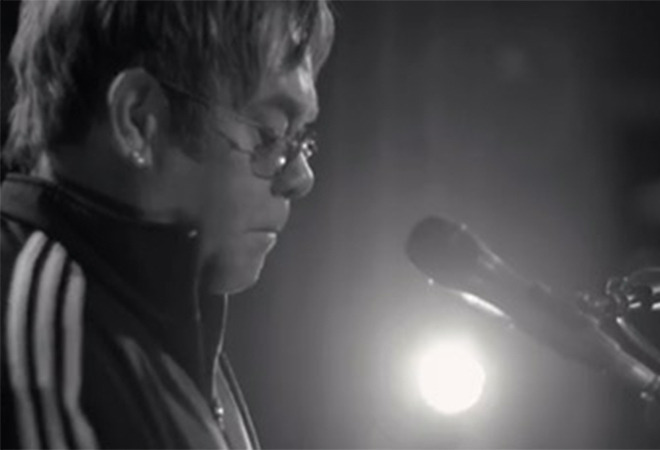 Last week, Elton John released the first single off the upcoming The Diving Board, his first solo album in seven years. The album will feature 15 new songs, 12 of which are collaborations with his long-time lyricist Bernie Taupin. The album’s first single, “Home Again,” combines John’s now baritone voice with a soulful, restrained melody that evokes a sense of hard won wisdom. It’s the kind of tune that’s in perfect harmony with his recent output yet recalls the intricate piano arrangements of long ago albums like Elton John and Madman Across the Water. The Diving Board is a return to fundamentals for John who has reportedly stripped back the arrangements to the sort he used in his early tours from 1970-71. Whether the new material retains the high-energy fervor and virtuosity of those concerts—see “Take Me To The Pilot” from the 11-17-70 live album—the “back to basics” approach should be a trip down memory lane. It might encourage late adopters who only know John for his Lion King hits to explore his early catalogue and discover Elton John, the sensitive tunesmith rather than Elton John, the glam-rock diva. The Diving Board comes out in the U.S. on September 24. Next articleHave a Safe Fourth of July, Everyone!